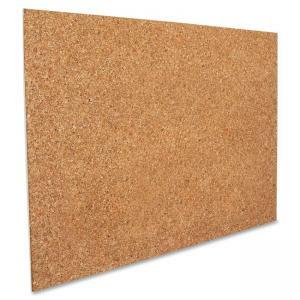 Foam cork board offers a lightweight and sturdy construction that makes this a great alternative to heavy cork boards. Perfect for school-related presentations, art/photo displays, memory boards, and business needs. Single sheet of cork foam is thick enough that pushpins or tacks will not show through the back of the board and the white backing provides two sides for your project. Fine grain surface is reusable again and again when decorated with pushpins or tacks. Foam board also works well with adhesives for permanent displays and can be cut into smaller sizes.